Now that the leaves are turning and the days are growing shorter, if you’re tempted to pack away your gardening gloves…don’t! 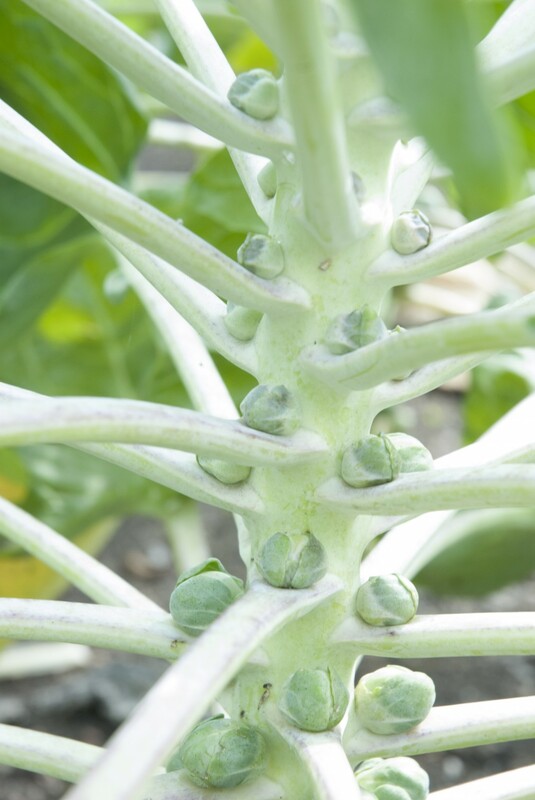 Brussels sprouts (Brassica oleracea) enjoy the cooler weather of fall for producing their delicious edible buds. At the Regenstein Fruit & Vegetable Garden, we’re as busy as ever. Our cool-weather crops include brussels sprouts, spinach, and toscano kale. Fall is a great time to grow vegetables—insects die off, weeds wither, and moisture is plentiful. If you don’t have much space, remember that you can grow vegetables in containers, window boxes, and hanging baskets. Document the good, the bad, and the ugly. Walk around your garden making notes, drawing pictures, and taking photographs; document challenges and successes, problems, tasks, and ideas for next year. Make a list of the plants that worked and should be planted again. Bring in twigs, nuts, berries, and seedheads to dry for fall decorations or winter wreath making. Gather the stems into bunches, and secure them with a rubber band. Hang the bunches for several weeks to dry in a warm spot (but out of direct sun). Harvest herbs to dry, freeze, or use fresh. Lift tender perennial herb plants like rosemary and lavender to replant in pots. Annual basil lasts for several additional weeks in a sunny kitchen window. 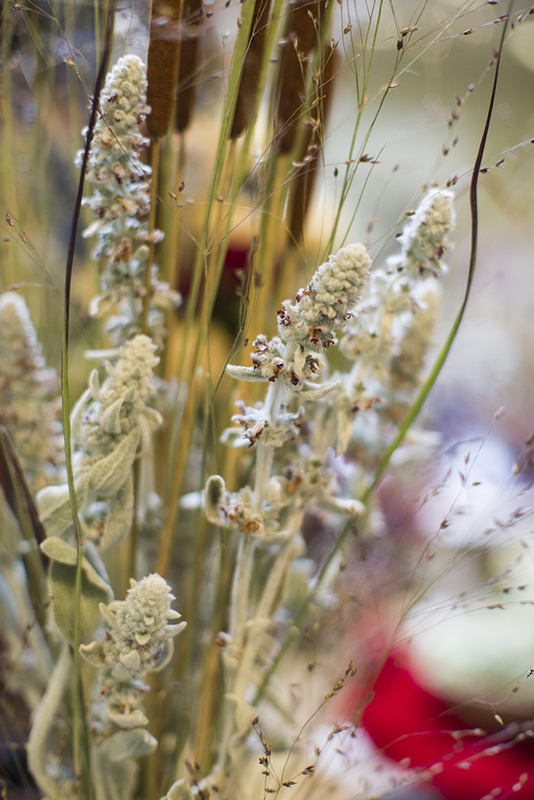 Now is the best time to gather plants at the end of the season for beautiful arrangements for the fall table. Remove debris such as leaves, clippings, and bits of fruits and vegetables. Garden sanitation is important to remove the overwintering habitat for many insects. 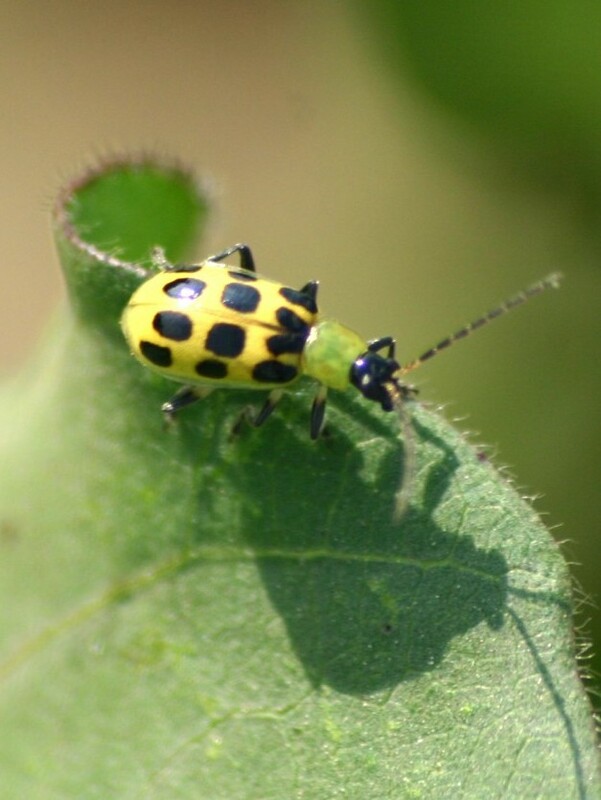 Cucumber beetle and squash bugs overwinter on leaf litter and create problems in the spring. Perform bed prep and broad forking—break up densely packed soil now to avoid working heavy soils in the spring (when you do so, you further compact the soil and destroy soil structure). Fall prep ensures that the bed will be ready for early peas around St. Patrick’s Day. Add organic matter to feed the soil rather than using fertilizers to feed the plant. Add mulch, thumb deep, to help maintain soil temperature and moisture. Everbearing raspberry bushes produce their fall crop on the top half of the canes. After harvesting, prune out the top half of the plants. The lower half of the canes will produce fruit early next summer. As you harvest, remember to save seeds for next season! Got extra? Join us for our annual Seed Swap. Harvest warm-season vegetables, including winter squash and pumpkins, before the first frost. 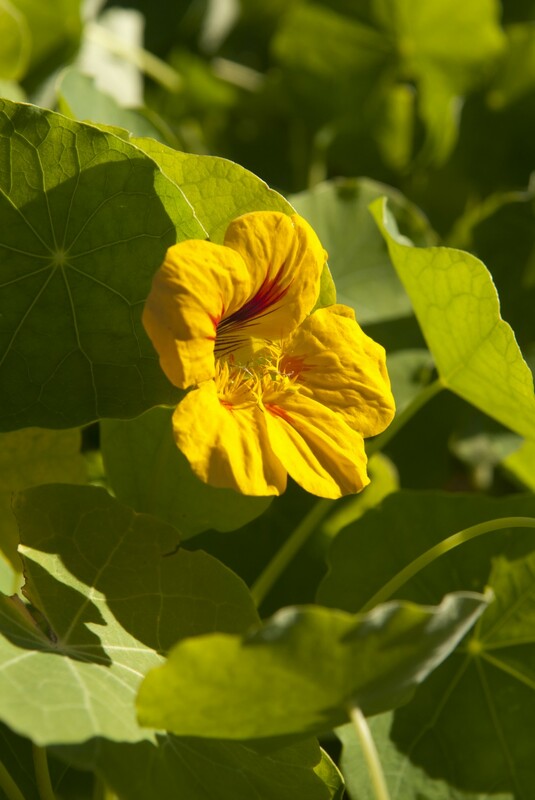 The edible flowers of nasturtium last well into fall and make a wonderful planting in the garden or containers. Short-season crops and salad plants—radish, spinach, arugula, lettuce, mustard, mizuna, and tatsoi—should be sown 30 to 40 days before the first frost (roughly October 15 in Chicago-area suburbs and a bit later downtown). Plant cool-season herbs like parsley (flat or curly), chervil, cilantro, and edible flowers such as calendula and nasturtium. Get edible bulbs—such as garlic bulbs, shallot, and onion sets (small onions for planting)—into the ground by Halloween; they’ll be ready for harvest in July. Harvest hardy vegetables after the first frost, when they become sweeter—kale, brussels sprouts (remove the tops of the plants in early September), cabbage, broccoli, collard greens, and cauliflower. 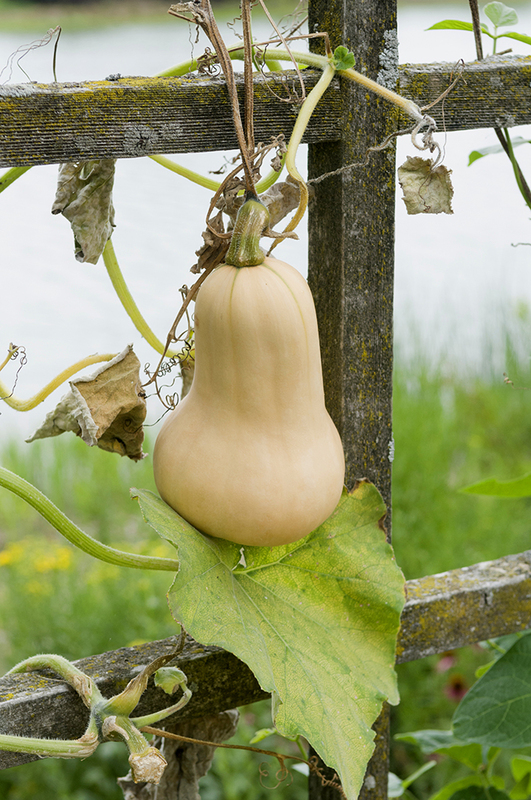 Harvest warm-season vegetables, including winter squash and pumpkins, before the first frost. Don’t let the first frost touch your peppers and tomatoes; if they’re still green, they’ll ripen a bit indoors. Think about ways to extend the growing season—with row covers, garden blankets over raised beds, cold frames, etc. For more ideas or inspiration, drop by the Fruit & Vegetable Garden (in October, come see the giant pumpkins on display). Did I mention that fall is a good time to plant fruit trees for spring blooms and fruit? Plant the trees in cooler weather, under less stress—and they’ll be ready to soar in the spring. For more seasonal gardening tips, tune into my weekly Saturday morning audio podcast on news radio WBBM. Get past tips online at chicago.cbslocal.com/audio/gardening-tips.